It’s a familiar set-up for fans of anime director Makoto Shinkai. 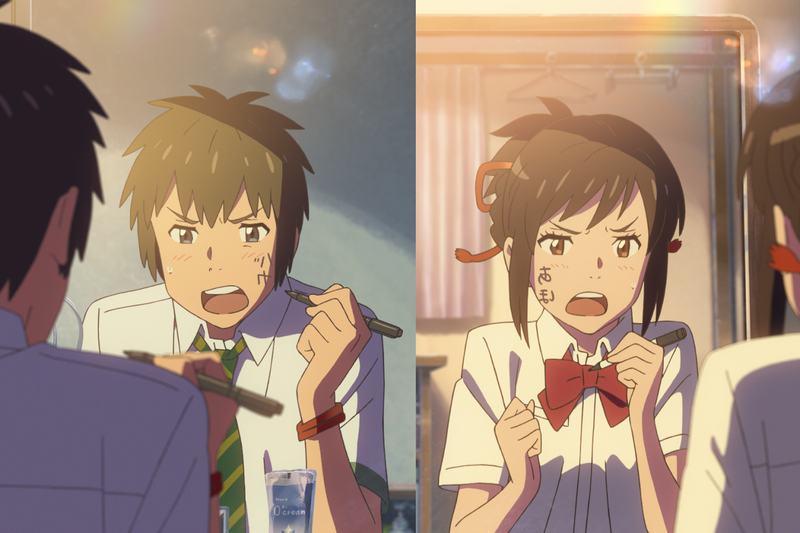 In his latest, Your Name, a boy and a girl have never met, but are still intimately connected by a mysterious switching of their personalities. Shinkai often writes about distance – sometimes the micro-gestures that define how two people feel about each other when they are sitting on a bench; sometimes the time-lag between the sending of a phone message and its reception. But that’s not what made Makoto Shinkai famous. He became the poster boy for an entire generation of animation fans because his debut video release, Voices from a Distant Star, was made single-handed. Or was it? Although he used off-the-shelf software, it helped that he could liberate the most expensive pro tools from his day-job at a computer games company. And by the time the public saw it, it had been buffed up with an injection of cash and manpower from Shinkai’s new patrons. But print the legend: Voices was an anime hit, made by a computer nerd in his living room! Shinkai bypassed the usual route to an animation career, but that didn’t come without a price. He was propelled into movies, even though he had no apprenticeship in running a studio, and no experience in writing long. Hopeful hype rashly proclaimed him as the next Miyazaki, a ludicrous assertion to make about 31-year-old first-time feature director. His first full-length feature, The Place Promised in Our Early Days, was unremarkable, leading him to drift back into shorts amid whispers that he might have peaked too early. His next work, 5cm Per Second was a far more accomplished, emotionally compelling work, but comprised three linked shorts that fell seven tantalising minutes short of feature length. Forget the Miyazaki comparison. Shinkai has much more in common with Charlotte Church (no, bear with me…! ), an undeniable talent, successful at a perilously young age, and forced to learn the ropes of a more mature career path while trapped in the public eye. Shinkai has literally not had the time to make the mistakes and discover the skills that other animators hone over a decade. His particular style is often born from the things he never got around to learning, like photo-real backgrounds suffused with wondrous sunsets and dappled lighting effects to obscure the fact they’ve been ripped off from real photos. In the first flush of his success in 2008, he ducked out of the industry for several months and became an English student in London. His idle days spent mooching around the British Museum, he said, helped inspire his second feature Journey to Agartha. But Journey to Agartha was something of a flop – a bloated, half-hearted fantasy epic that evoked a meeting of accountants trying desperately to reverse-engineer the appeal of the retiring Hayao Miyazaki. Shinkai’s follow-up was a bold return to his fannish roots, the 40-minute Garden of Words, about a student and a teacher who play truant in a Tokyo park. Garden of Words was a triumph – a thoughtful, bittersweet platonic romance, distributed in a bespoke, small-cinema format in which, more often than not, the director himself was in attendance, ready to sell you a signed DVD on your way out. At the time of its release, as its box office swiftly climbed, he gingerly told me that it was liable to steer his future productions. Money-men were sure to determine that his next movie should be another romance, not sci-fi. The fantasy elements in Your Name are liable to have been smuggled in by the back door. Now in his forties, Shinkai continues to live in the glare of publicity, now as the first Japanese animator to be in competition at the London Film Festival. But he also has something of the geek made good about him, barricading himself in his hotel room to complete the next instalment of the novelisation of his own movie, and using his clout as a film maker to fulfil the occasional nerdy dream. I asked him why he had cast Fumi Hirano, the actress who played devil-girl Lum in Urusei Yatsura, as the teacher in Garden of Words. Jonathan Clements is the author of Anime: A History. 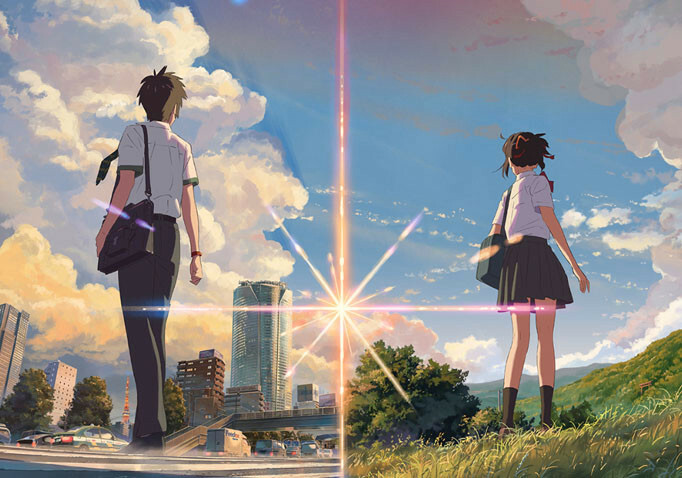 Your Name opens throughout the UK on 24th November. This article first appeared in Geeky Monkey #14, 2016. This entry was posted in News and tagged anime, anime books, Japan, Makoto Shinkai, Your Name by ixarette. Bookmark the permalink. This is like downplaying the work of a carpenter by saying he had access to professional tools, as if any person off the street could do the same if only they had the tools too. You could give all the same software Shinkai used to some nobody animator on YouTube and they would never be able to do what he did. ANN doesn’t credit anyone other than him on the production, except for sound. If professionals had stepped in to polish it, it would look much better. It has become common in the industry to base background paintings on photographs, and it’s ridiculous to call it “ripping off” (who are they ripping off? Themselves? Reality?). Shinkai’s backgrounds are not retouched photos, they are obviously painted. It also wouldn’t even be necessary for him to be skilled in painting backgrounds, as there are people on anime productions whose entire job is to do that. The director does not need to do everything himself. This post comes across as very whiny, petty and ignorant. Yes it does, but after nearly a decade running this blog I’ve got used to such comments.